It's a simple formula: every week, at least 1 day smarter commuting. Evaluation shows: it really works! Register now via the contact form below and start playing F5T4 in your company. Over 20% CO2 reduction is achievable for every organisation. After 3 years, the MOBI project ended in March 2016. It buildt on the successes of the From5to4 mobility game from the Netherlands. The aim of the game is to encourage employees to travel to work more smartly (e.g. walking, cycling, public transport and car sharing) as well as having fun competing against their friends and colleagues at the same time. In return, the F5T4 game gives employees information about how much energy they have saved, calories burned as well as the opportunity to win prizes. It's a simple formula: every week, 1 day smarter commuting. The project aimed to decrease the use of car during rush hour by 20%. This goal was achieved! On average the weekly additional calories burned per game is of 1916 calories - this represents an increase in calories burned of 24% from walking and cycling. In addition to these figures, several testing games or small games played within the context of an event took place. Many useful lessons learned and further details on results can be found in the evaluation reports in the download section below. These is also more information on implementation and communication, among others. Now that the MOBI project is finished, the From5To4 game will continue to be implemented – not only in Europe but also beyond. First pilots were carried out in Germany, Hungary, the US, Colombia and New Zealand. DTV Consultants is an independent consultancy agency and educational organisation in the field oftraffic and transport based in Breda, the Netherlands.It was established in 1987 by the name of ‘Dienstencentrum voor Toerisme en Verkeer’ (service centre for tourism and traffic), as part of the NHTV Breda University of Applied Sciences. In the fall of 2001, DTV Consultants became a fully independent consultancy company that moved into its own office building outside the NHTV. The relationship with NHTV turned into a cooperative one, which still exists. DTV Consultants is structured into five teams: Research & Mobility (also covering international projects), Realisation & Maintenance, Planning& Design, Coaching & Education, and Office management. The company has now worked for over 25 years for regional governments, municipalities and public transport operators, but also for the European Commission and other international clients, winning various (inter)national awards and prizes. The mobility expertise of DTV Consultants covers all fields of traffic and mobility. With 50 employees DTV is big enough to answer all mobility questions and small enough for a personal approach and tailor made advice. A special feature of DTV is its extensive educational experience: we organise and teach over 50 different courses in the field of traffic and transport in the Netherlands on Bachelor and Bachelor-plus level. We are officially accredited for this by the Ministry of Education. Mobiel 21 is an organisation for sustainable mobility. We want to help build a living environment that is accessible and liveable in a nature-friendly and safe way. Mobiel 21 inspires and activates people, groups, organisations and governments to thoughtfully consider their means of transport and transport habits. Mobiel 21 is committed towards building a culture of sustainable mobility in Flanders, Belgium and Europe that maintains the balance between social, ecological (including health) and economic aspects. Maintaining a good balance between these three aspects is crucial for the sustainable mobility culture of the future. Mobiel 21 and her partners are aware of the impact of their behaviour and they choose to act by it. Why do I need transport? How and with what means of transport can I travel? These questions should lead to a more conscious mix of transport means, more environment-friendly transport, safer traffic and a more qualitative living and traffic environment. On the one hand, Mobiel 21 encourages individuals and groups to make use of more sustainable means of transport. On the other hand, the organisation stimulates local and global governments to take the necessary steps in order to create that essential balance. Mobiel 21 raises awareness and encourages behavioural change by informing, educating and stimulating social action among several target groups. Mobiel 21 is an independent organisation for sustainable mobility that develops, gathers and spreads knowledge in order to influence policy and behaviour. Mobiel 21 wants to play a central role in Europe so they can contribute to a more durable European society as well. Mobiel 21 is continually in search of cooperations and synergies to help them create this sustainable mobility culture. "We're committed to providing excellence and inspiring confidence in everything we do. We're a dynamic and growing business, focused on meeting the changing needs of our Clients. Our people are the secret of our success. By harnessing their expertise we're consistently delivering value for Clients on projects around the world." 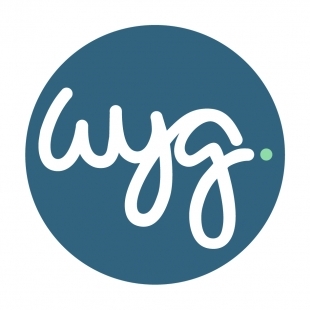 Our focus at WYG is simple: it's to be the best in class consultant in all that we do. That's why our message for Clients, staff and partners is clear: 'WYG. Creative minds, safe hands. TIS’s mission is to generate value for its clients and shareholders in the area of mobility and transports working with high ethical standards and based on solutions which are economically, socially and environmentally sustainable. To do so, the team at TIS is focused on creativity and on the use of state-of-the-art technical knowledge and on providing quick service to its clients. Energy Agency of Plovdiv (EAP), Bulgaria is the first energy management agency established in Bulgaria under the SAVE II program of the European Commission (EC). It is now one of the few such agencies established in Central and Eastern Europe following the decision of the EC in 1999 to expand the program to our region of Europe. The EC and others have considered EAP a huge success in the country and in the region since its inception in 2000. EAP is continuing its activities promoting energy efficiency and clean energies as well as identifying and developing new energy projetcs. Energy Efficiency (EE) is a new concept in Bulgaria; supply side issues used to be the main topic for discussion on the national agenda. A success was shifting the focus to the demand side of energy, bringing attention to energy consumption issues within the community and providing practical ways for individuals, communities and businesses to improve their energy management. EAP cooperates closely with partnership agencies in all European countries. To enhance Bulgarian participation in the European integration process. The Agency of Braşov for Energy Management and Environment (ABMEE) is a local energy agency founded in 2003, through SAVE II programme of the European Commission, as a result of Brasov municipality concern for energy efficiency and environmental protection. ABMEE is a private non-profit, non-governmental organization. Public information awareness and empowerment campaigns. We do not send spam and do not allow spam on our websites. We apply various security measures to protect the confidentiality of your personal information against loss and unauthorized access by users inside or outside the company. However, you should be aware that perfect security does not exist on the Internet. If you register or enter information on our site, we collect your personal information to make sure you can get the right answer on your question or you can play the game smoothly. We do not sell nor lease this information to third parties. On this website the terms and conditions of the ICT industry organization ICT-Office apply.